Participated in the Myanmar Festival held at Zojouji Temple. Participated in the Myanmar Festival held at Zojouji Temple. 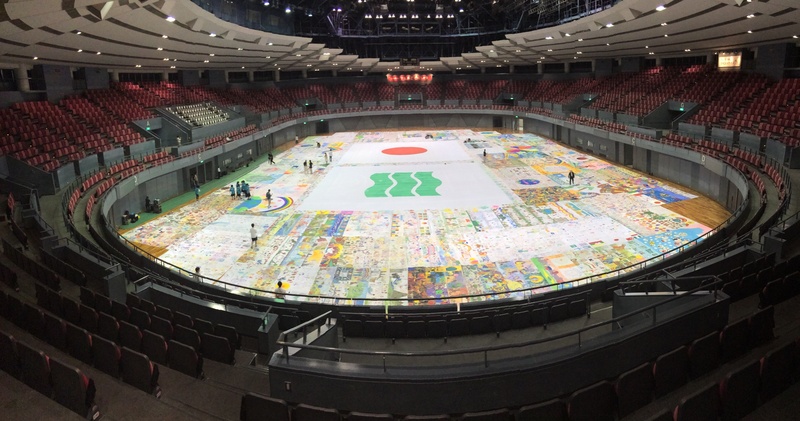 After the Buddhist sermon and prayer, the Biggest Painting in the World painted by the children of temple schools in Myanmar and that by the children of Zojouji Meitoku Kindergarten were sewn together into the 10 X 5m Biggest Painting in the World Myanmar Festival 2014 and displayed at the front step of the temple’s Main Hall. Next year, we will have the children of 35 temple schools in Myanmar paint the pictures to create the Biggest Painting in the World Myanmar 2015. The lift side of the photo is the painting by the kindergarten children and the right side is that by the Myanmar children. 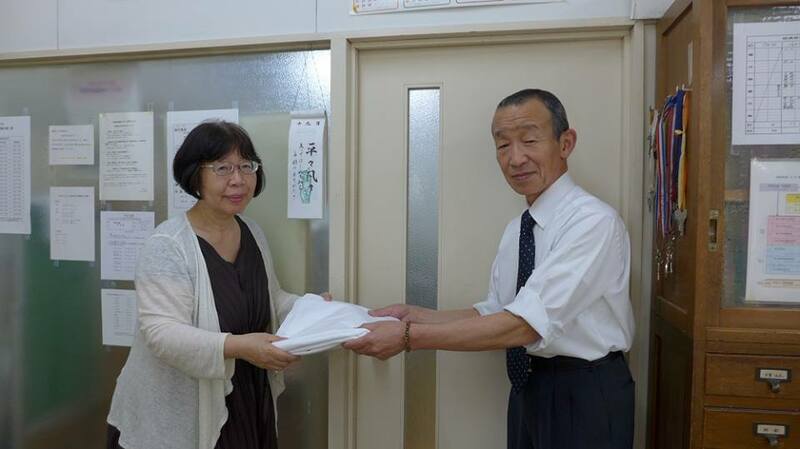 Handed five pieces of cloth of the Biggest Painting in the World 2020 to Meitoku kindergarten of Shiba Zojo-ji Temple in Minato-ku. 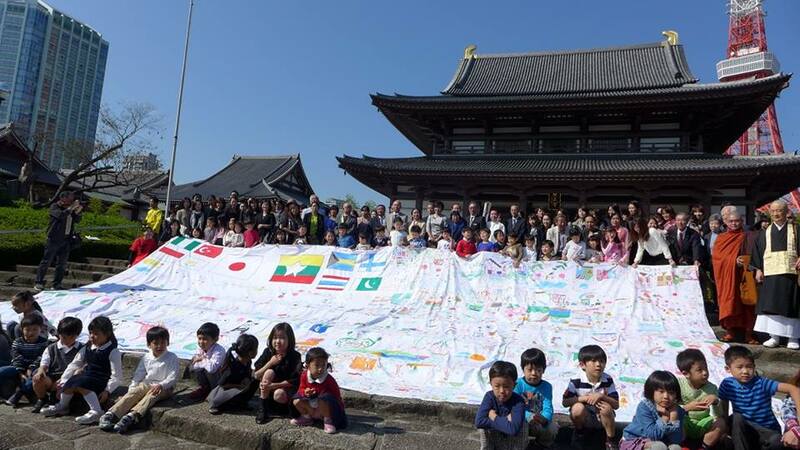 Handed five pieces of cloth of the Biggest Painting in the World 2020 to Meitoku kindergarten of Shiba Zojo-ji Temple in Minato-ku. The picture which the kindergarteners painted and one which is going to be drawn at a festival in Myanmar in a Myanmar private elementary school on October 18 will be seamed together and is going to be shown on the stairs in front of Zojo-ji Temple main hall.